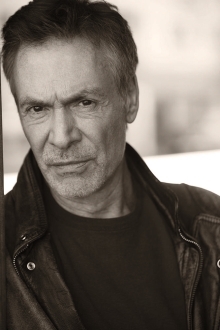 Robin Sachs (1951–2013), actor and narrator, was raised in London and trained at the Royal Academy of Dramatic Art. His audiobook narrations earned ten Earphones Awards. His acting credits include Alias, Buffy the Vampire Slayer, Dynasty, Nowhere Man, Babylon 5, Diagnosis Murder, Galaxy Quest, Northfork, Ocean’s 11, The Lost World: Jurassic Park, and Megalodon.